Brick & block layers are a key element to any construction project and a very in demand job in Australia. By studying bricklaying you will be setting yourself up for a promising career in a growing industry. Many people think it is a simple job, however there is so much more to this occupation. This occupation would suit someone who likes working outdoors, is physically fit and likes working with their hands. You will learn how to work on job sites for domestic,commercial and public buildings and work with clay bricks, concrete blocks and mortar. Throughout the course students will learn how to interpret building plans, perform measurements, masonry blockwork, veneer and solid brick construction, leveling and scaffolding and how to use speciality tools. Studying plans and specifications to determine materials required, dimensions and installation procedures. How to construct decorative panels, feature walls, arches and columns. Laying bricks in rows, designs and shapes, and spreading mortar between joints. Embedding blocks in mortar and removing excess mortar. Checking vertical and horizontal alignment. Cutting, shaping and polishing stones and bricks using machines and hand tools, and shaping bricks to fit irregular spaces. Full time bricklayers earn an average of $1200 per week. The average hours worked by a bricklayer in Australia are 39.4 per week. Employment for this occupation grew strongly in the past five years and remained relatively steady in the long-term (ten years). Bricklayers and stonemasons have a high proportion of full-time jobs (90.7 per cent). Most bricklayers can work independently as a contractor or for a larger building company. Must have graduated year 10 in home country. Must have a minimum English score of IELTS 5.5 overall. This course includes 360 hours of vocational placement. 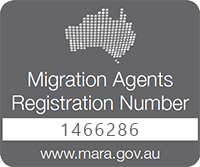 Book a consultation to receive professional advice from one of our experienced Registered Migration Agents. We seek to provide all students, clients or companies with honest and accurate advice enabling them to migrate to Australia as easily and efficiently as possible. You hold a valid passport issued by the United Kingdom, the United States of America, Canada, New Zealand or the Republic of Ireland and you are a citizen of that country. What is an offshore Technical Skills Record (OTSR)? Many foreign trades workers are highly skilled in their trade, however there is often different requirements to work in a trade in Australia compared to their home country. The way their skills are applied are different in Australia to back home, this is a skills gap. The skills gap of Australian and foreign trades practices stems from the different standards enforced in each country. There are different government regulators, different work place rules and different safety codes to follow. Even in Australia there is differences in each states regulations and practices. What might be acceptable in QLD is not acceptable in NSW. An offshore technical skills record (OTSR) allows an assessor to determine which skills need to be addressed in the gap training. On successful completion of an OTSR, it allows a person to obtain a provisional license which allows them to work under the supervision of a licensed trade worker. The worker must then undertake gap training at a registered training organization and complete supervised work in order to obtain their full license. We have created a booklet that we hope you will find very useful. The first half of the booklet covers courses that will help to up-skill you in an occupation of demand. The second part of the booklet explains the potential visa pathway that you could follow upon your graduation. We have tried to make it as simple and easy to understand as possible, so you can start planning your Pathway To Aus.